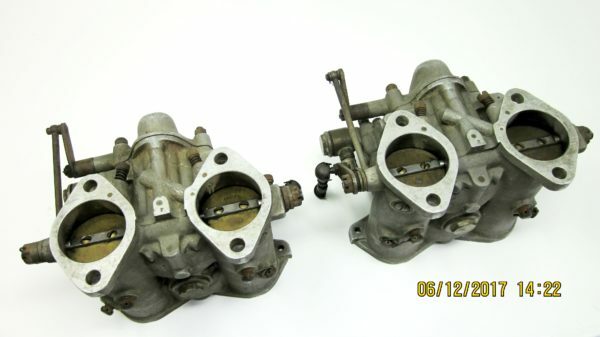 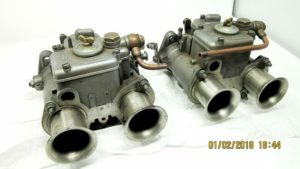 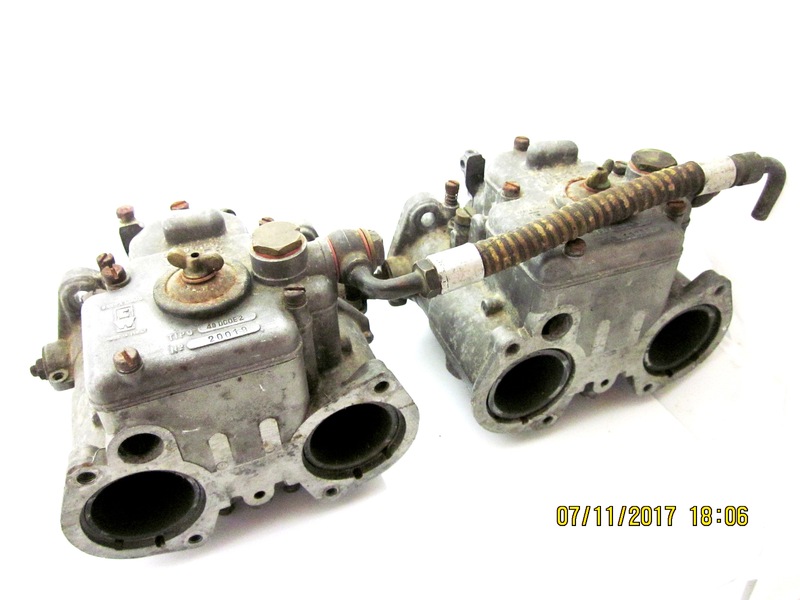 Original, un-restored pair, WEBER 40 DCO3 Carburettors. 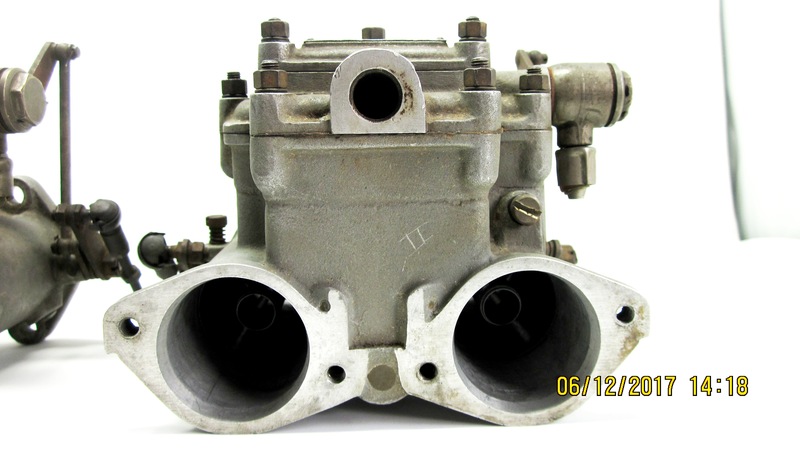 Sandcast aluminium – Made in Bologna, Italy. 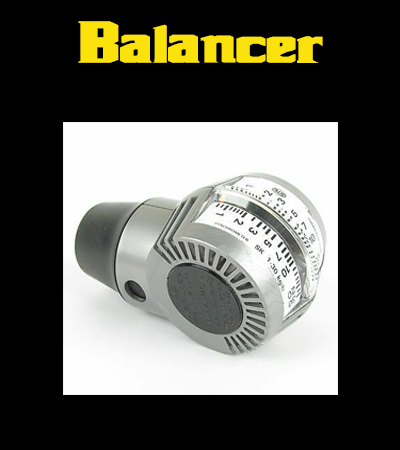 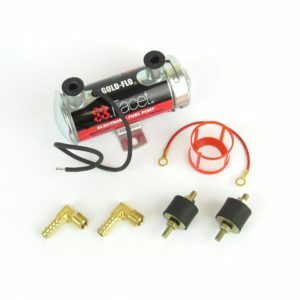 They are complete with all jets, brass floats, venturis and original throttle levers. 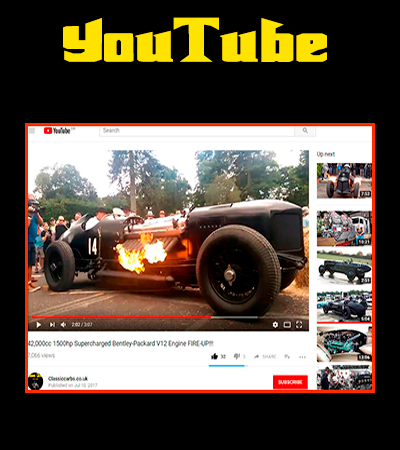 They will require a full restoration but they are damage-free and operational (not seized). 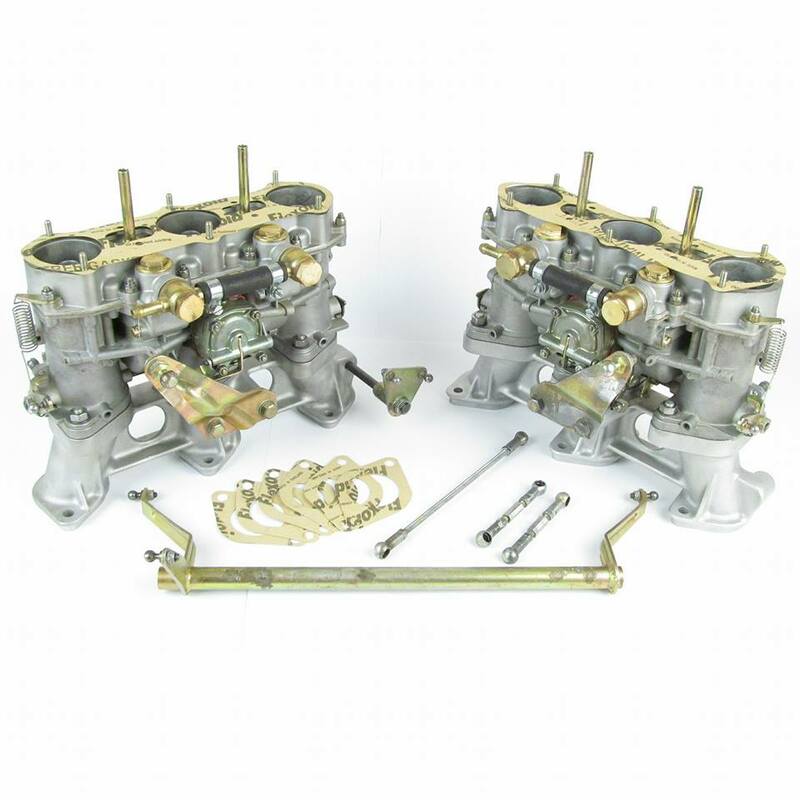 We believe these belong to a 1956-62 Alfa Romeo Giulietta Sprint Veloce/Speciale/Zagato twincam engine. 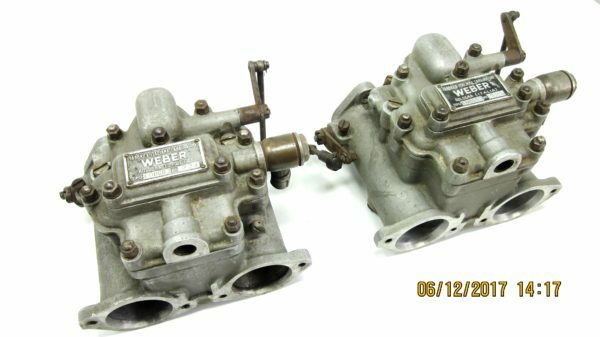 Please check for yourself to ensure they are suitable for your project. 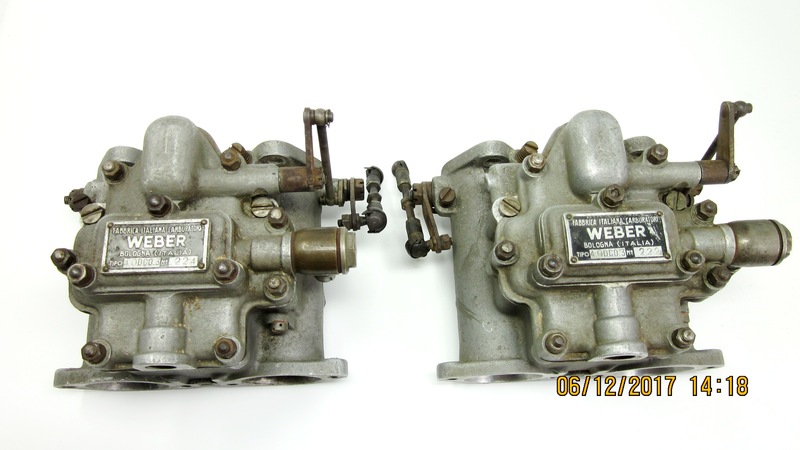 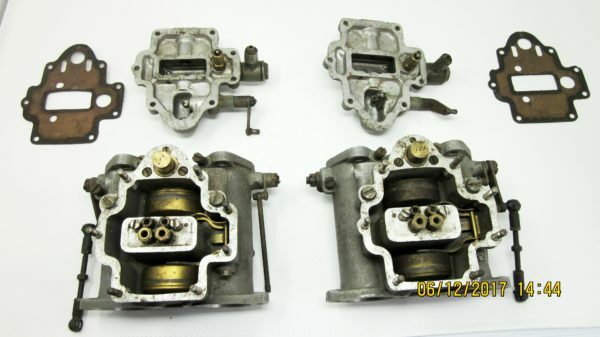 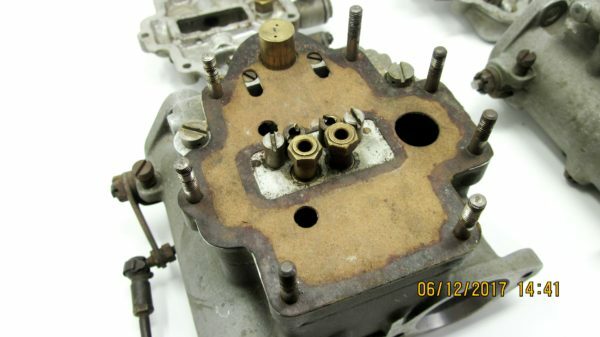 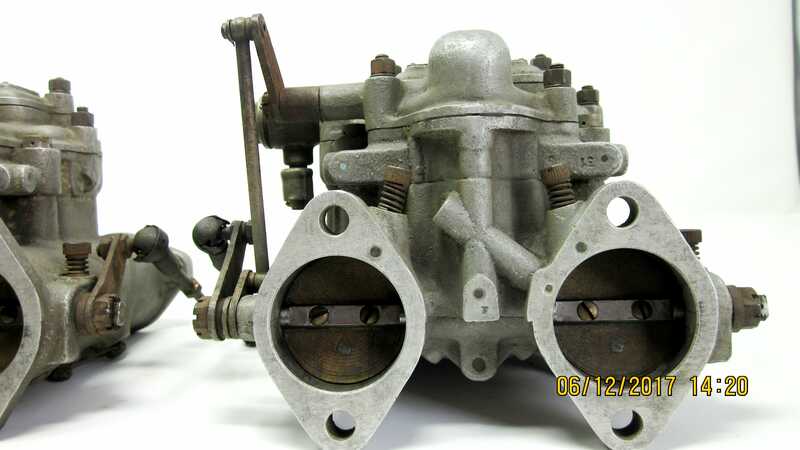 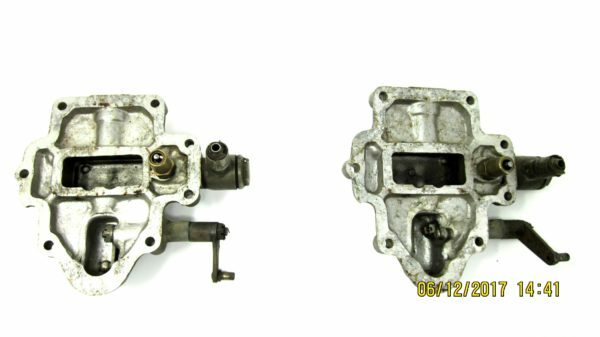 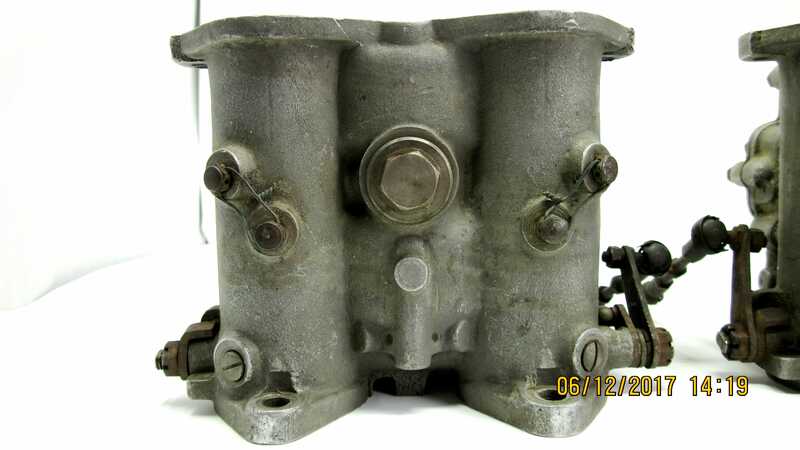 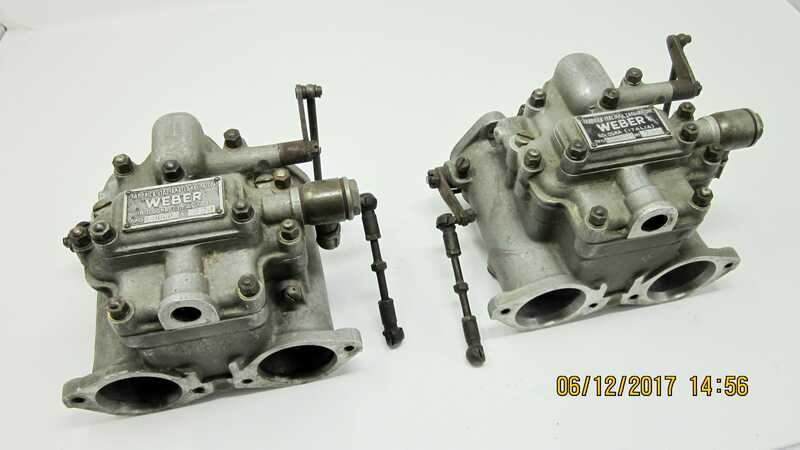 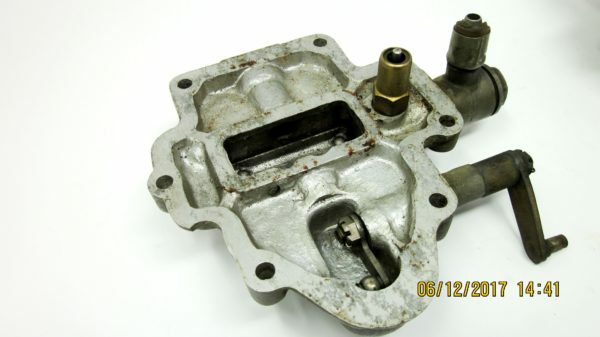 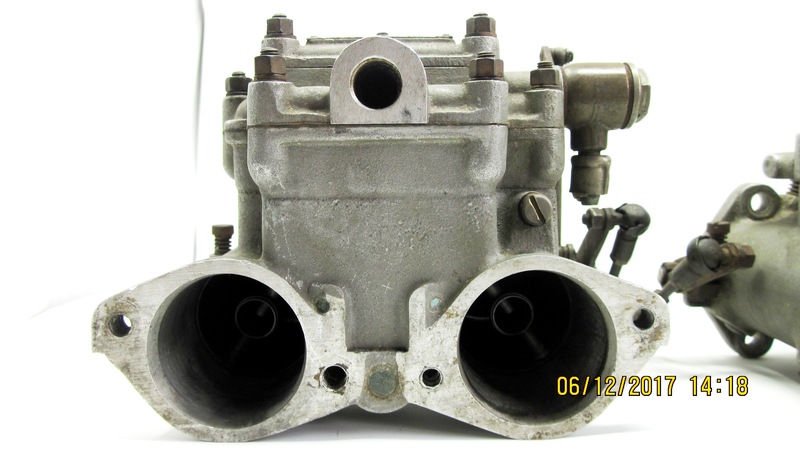 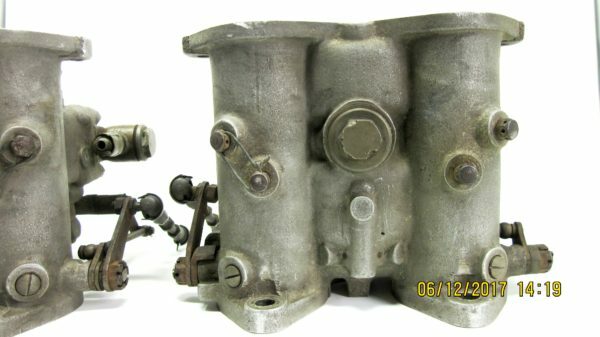 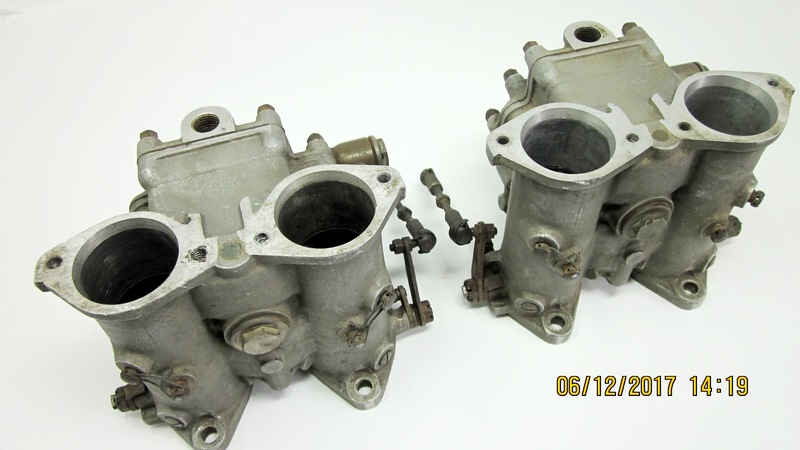 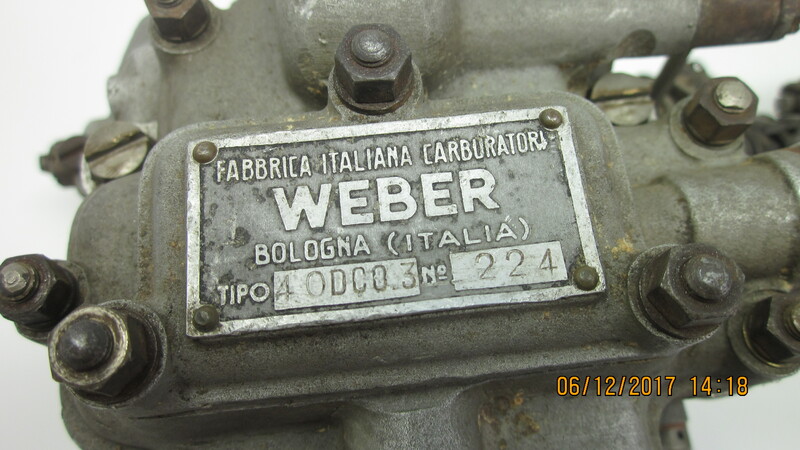 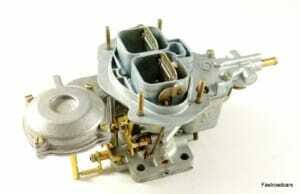 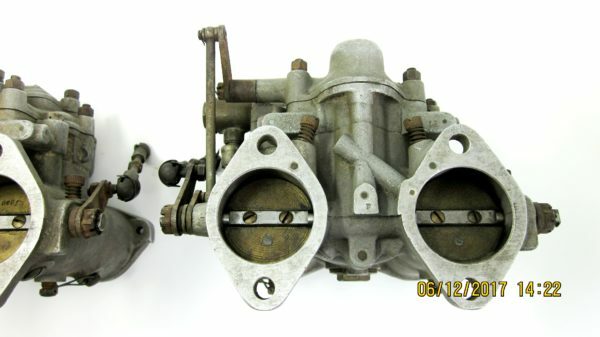 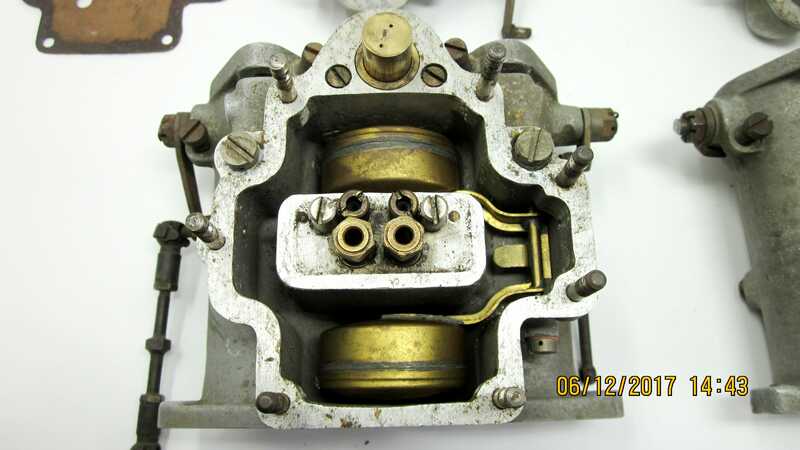 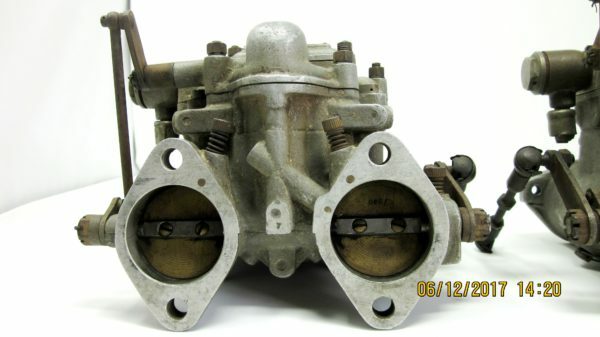 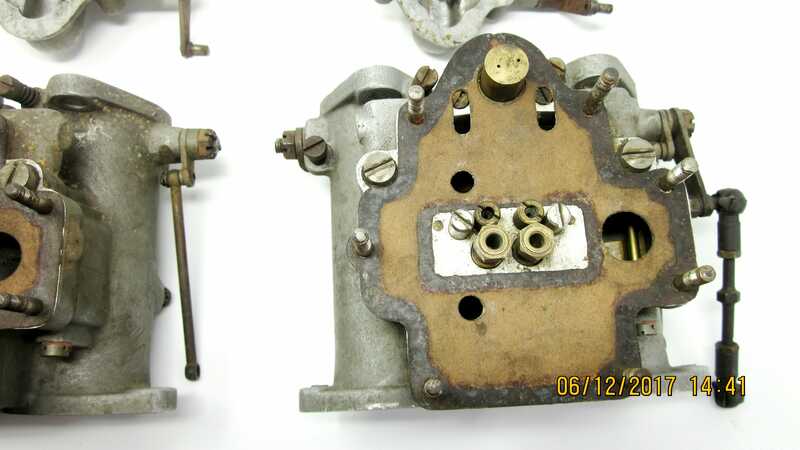 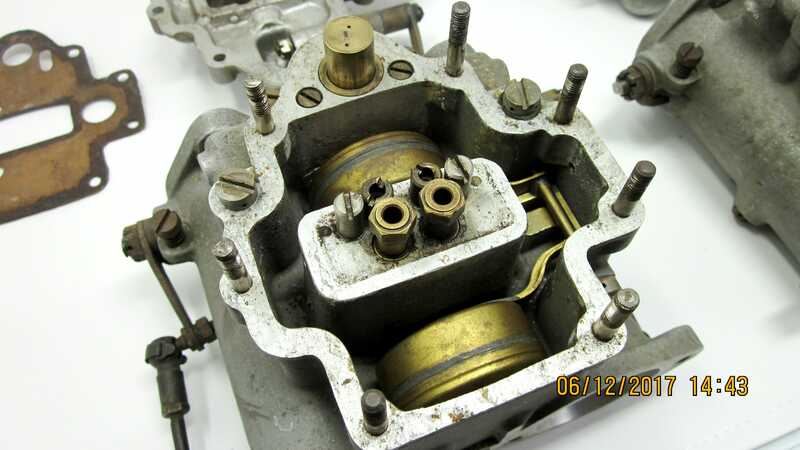 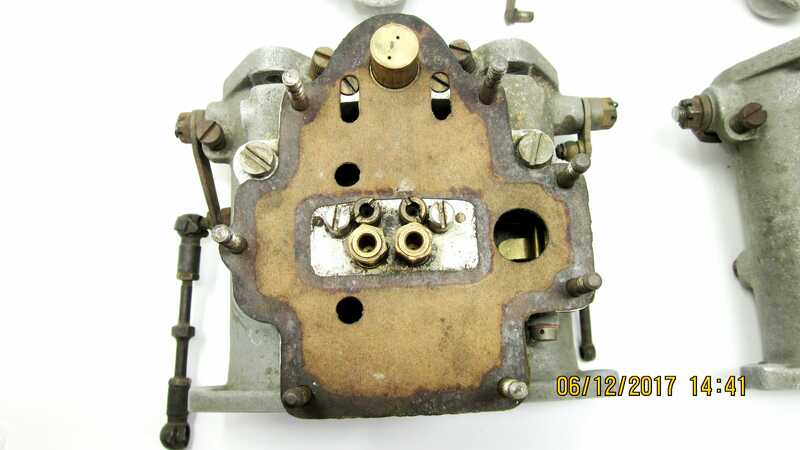 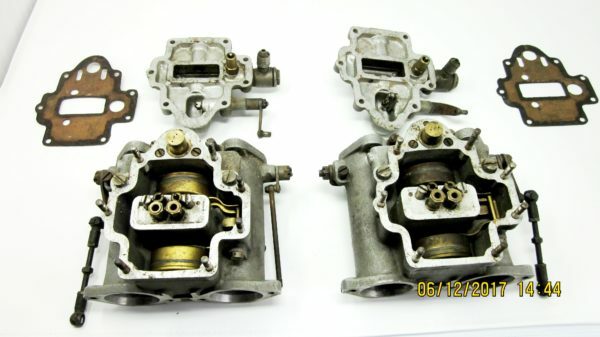 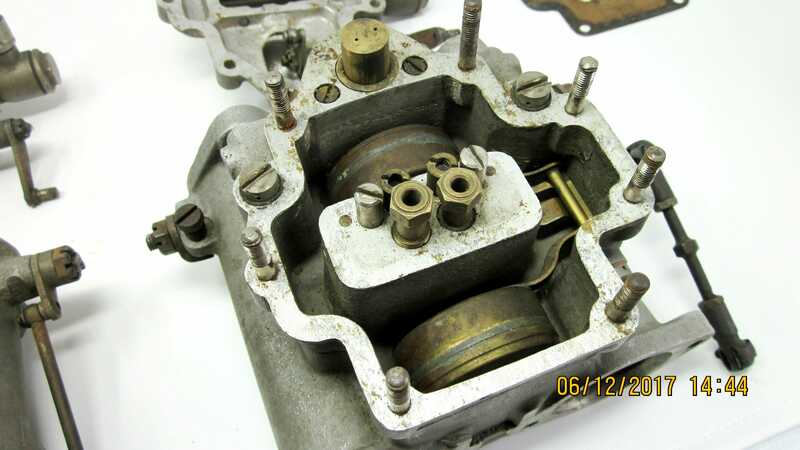 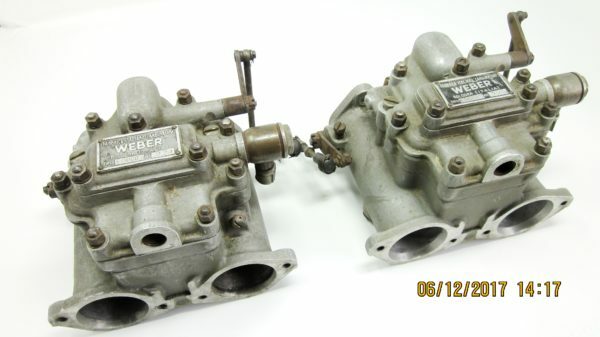 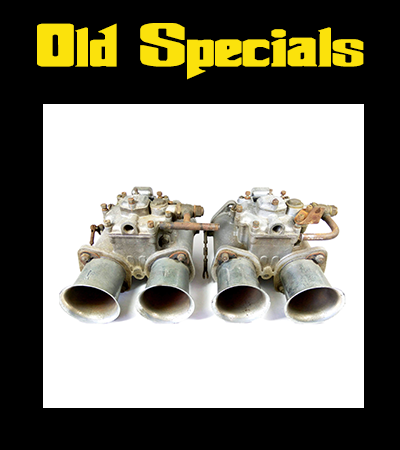 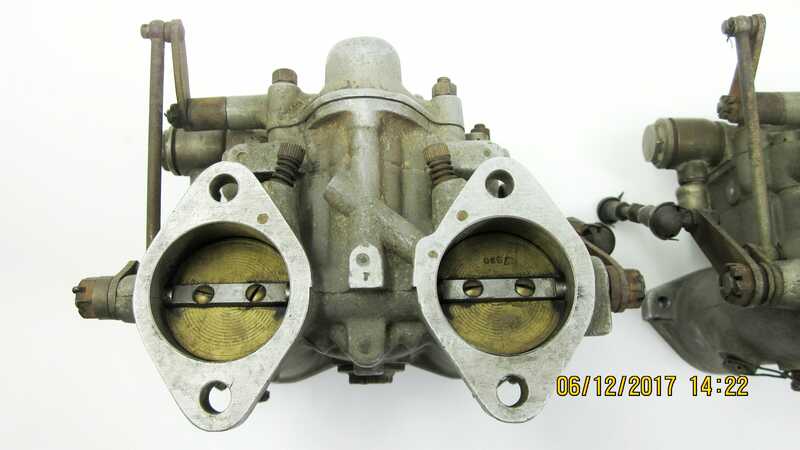 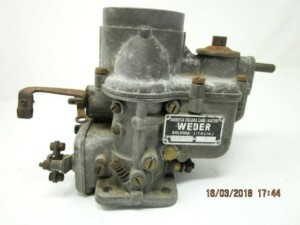 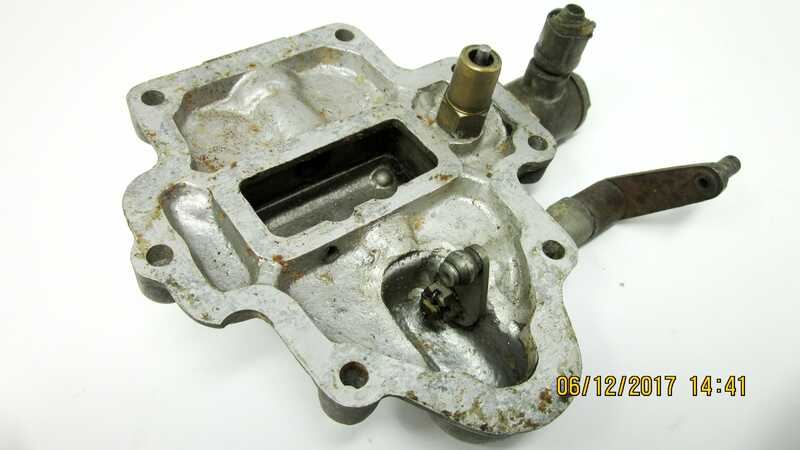 These are rare WEBER Carburettors, especially in this original, un-restored condition. 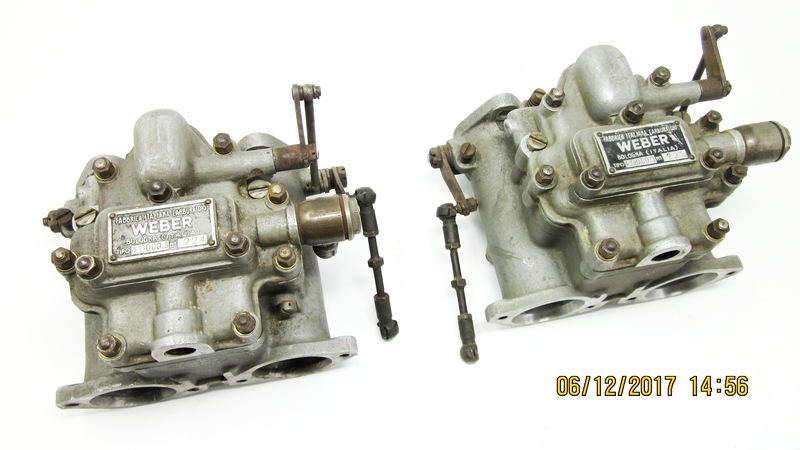 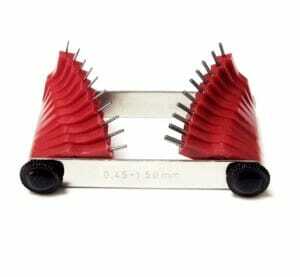 We will ship worldwide with DPD or UPS tracked and insured service. 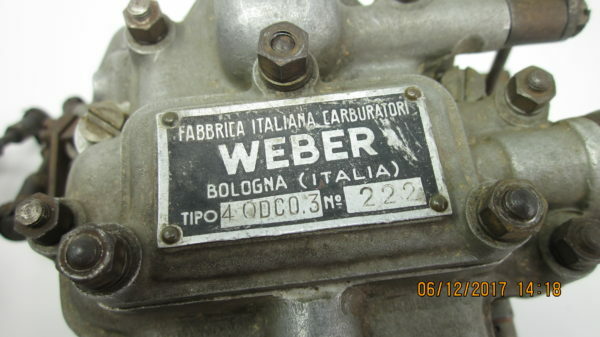 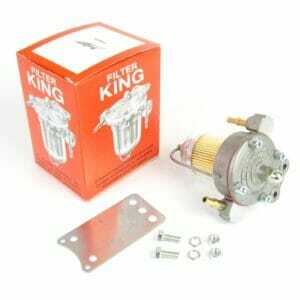 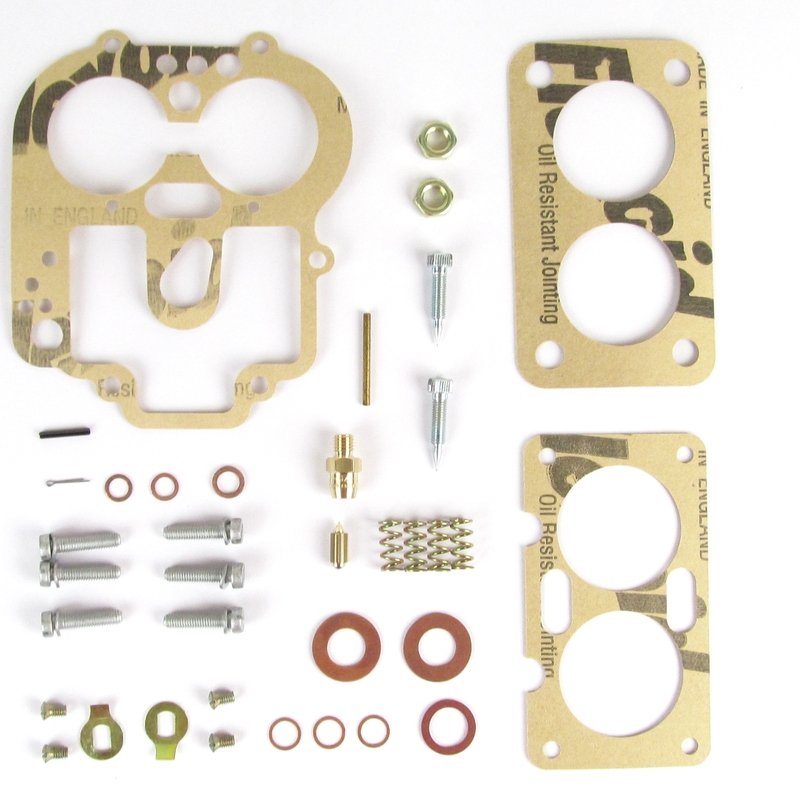 WEBER 40 DCZ & DCL CARBURETTOR SERVICE/GASKET KIT FERRARI 250/330/275 ETC..